Our next baptism is scheduled for May 5. It illustrates new life as a FOLLOWER OF CHRIST. 2 Cor. 5:17- "When someone becomes a Christian he becomes a brand new person inside. The old life has passed away and a new life has begun!" Rom. 6:4- "By our baptism then, we were buried with Him and shared His death, in order that, just as Christ was raised from the dead... so also we may live a new life!" Ephesians 2:8,9- "For it is by grace you have been saved, through faith... it is the gift of God - not by works, so that no one can boast." It illustrates Christs burial & resurrection. Cor. 15:3-4- "Christ died for our sins... He was buried... and He rose again." 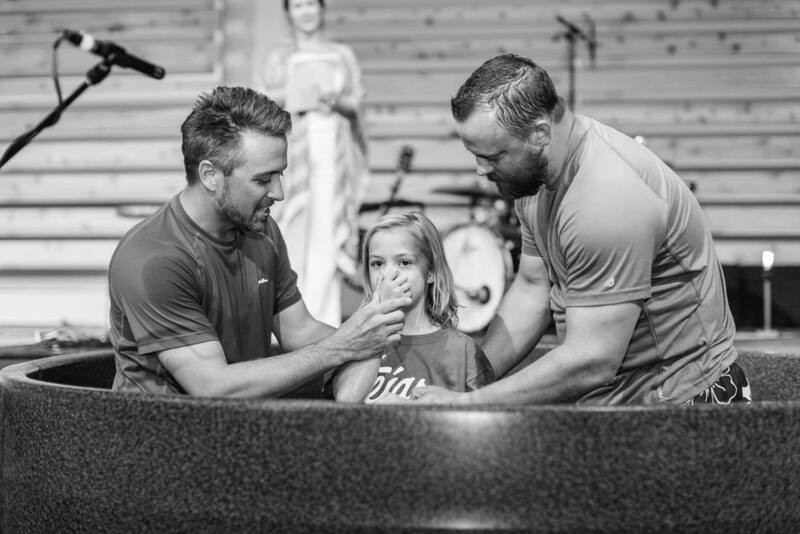 Col. 2:12- "For when you were baptized, you were buried with Christ, and in baptism you were also raised with Christ." EVERYONE WHO HAS BELIEVED IN CHRIST. Acts 2:41- "Those who believe and accepted His message were baptized..." Acts 8:13- "Simon himself believed and was baptized..." Acts 8:12- "But when they believed Philip as he preached the Good News... and the name of Jesus Christ, they were baptized, both men and women." 2. 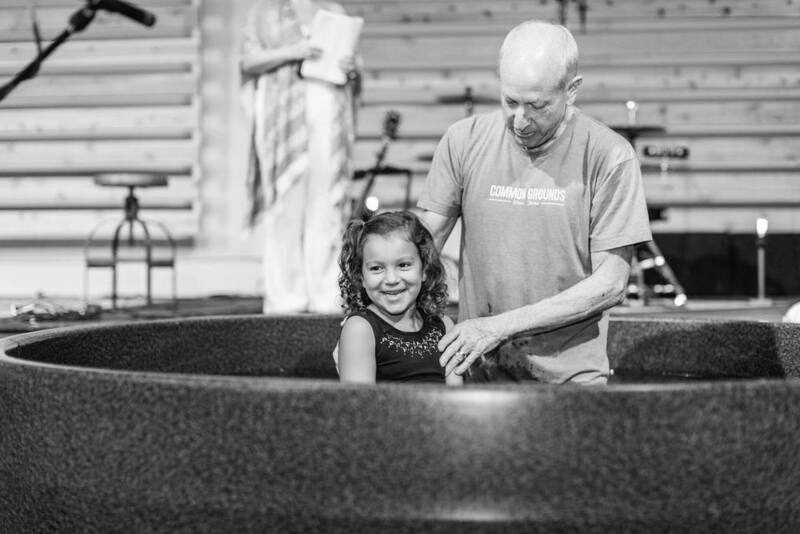 As baptism is a confession of our personal relationship with Christ, we wait until our children are old enough to believe and understand the true meaning of baptism before we baptize them. As soon as you have decided to receive Christ into your life, you can and should be baptized. 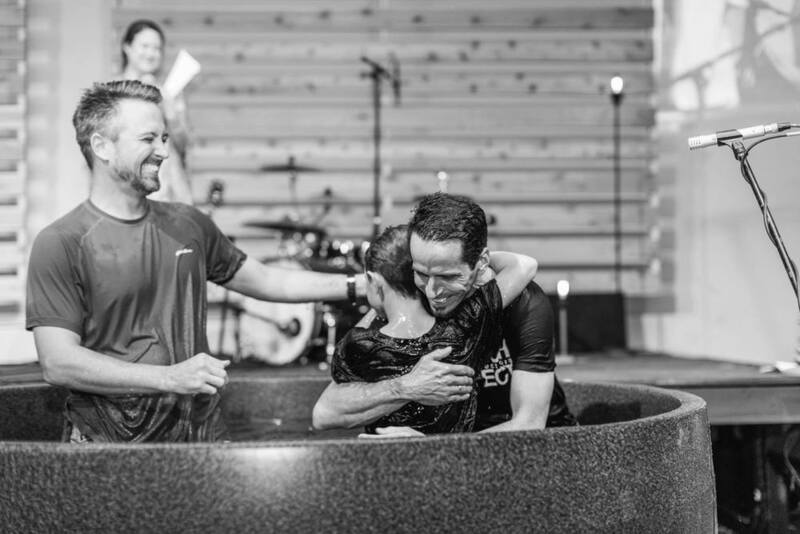 Acts 2:41- "Those who believe...were baptized...that day!" Acts 8:35-38- "Then Philip began with the scripture and told him the Good News about Jesus. As they traveled along the road, they came to some water, and the man said, Look, here is water! Why shouldn’t I be baptized right now? Philip said, If you believe with all your heart, you may. The man answered, I believe that Jesus Christ is the Son of God. So they went down into the water and Philip baptized him." There is no reason to delay. 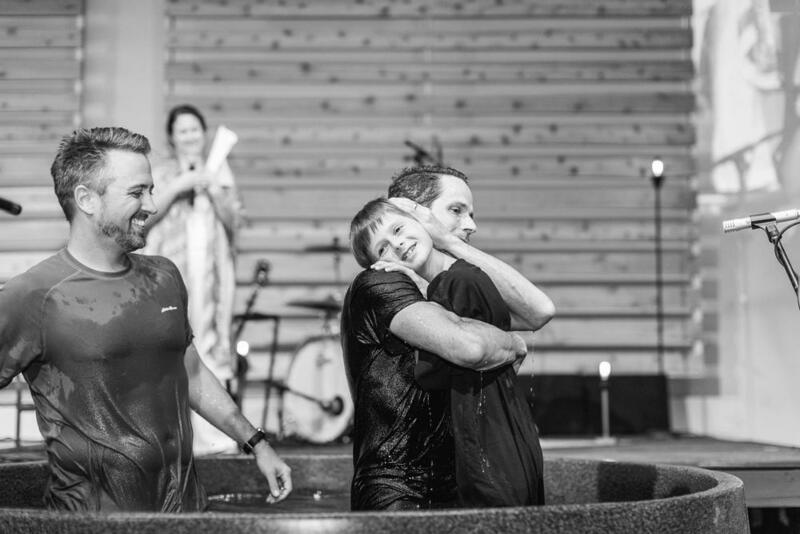 As soon as you have decided to receive Christ into your life, you can and should be baptized. Because other baptisms in the Bible were by immersion. Acts 8:38-39- "...then both Philip and the man went down into the water and Philip baptized him. When they came up out of the water..." The Greek word Baptizo means "To immerse or dip under water". It best symbolized a burial and resurrection! Matt. 3:16- "As soon as Jesus was baptized, He went up out of the water." Yes! If each family member understands fully the meaning of baptism, and each one has personally placed his/her trust in Christ for salvation, we encourage families to be baptized at the same time. It is a wonderful expression of commitment. 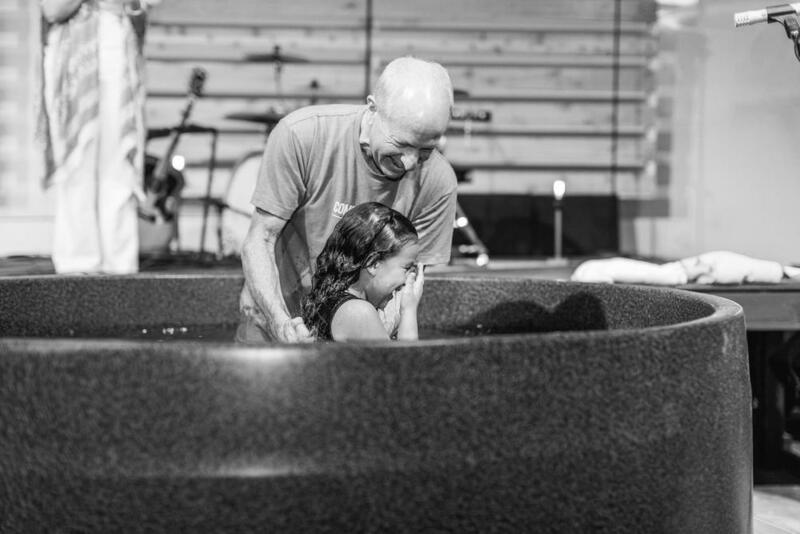 Young children who wish to be baptized are asked to meet with a Children’s Pastor for a pre-baptism conversation. However, it is important to remember that baptism is a personal statement of faith, not a family tradition. It is usually not wise to delay your baptism while waiting on other family members to accept Christ, particularly children. This puts an undue pressure on them, and delays your obedience. 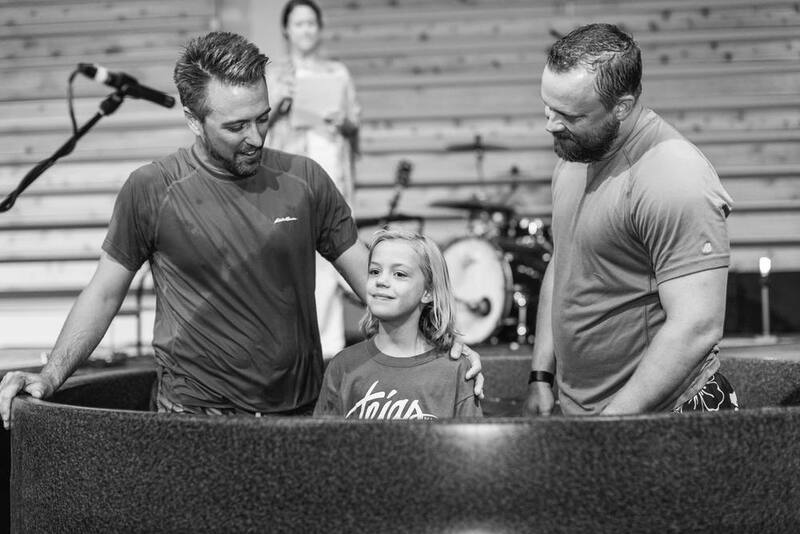 Your faith story that you write when you register for baptism will be speak for you. At the beginning of the service, a pastor will briefly explain the meaning of baptism. You will wait at the edge of the pool for your turn to be baptized. The pastor will introduce you, read your faith story, briefly lower you just under the water, and then you can leave the pool, dry off, and watch the others. We encourage you to invite all your relatives and friends to attend your baptism. Women should wear shorts and a top which will preserve modesty- i.e. dark colored t-shirt. Men may wear a swimsuit and t-shirt. Bring a change of clothes, a towel, and a plastic bag for your wet articles of clothing. Please be prepared for your baptism and arrive 30 minutes prior to the service.